A will can be challenged for many different reasons. One of the possible grounds for a will challenge is the improper execution of the will. There are certain requirements that have to be met in order to make a valid will. These requirements are outlined in Ontario’s Succession Law Reform Act. A valid will has to be in writing, has to be signed by the testator in the presence of two or more witnesses present at the same time, and it has to be signed by those two or more witnesses. These requirements are also referred to as “formalities”. Although these may seem like minor details, compliance with the formalities can be the difference between having a valid estate plan or engaging in costly estate litigation due to improper execution. There are many situations where improper execution can result in significant delays in administering the estate and significant costs as a result of protracted litigation. Improper execution can result in a will challenge. Call 1-866-677-7746 to schedule a consultation with an estate litigation lawyer. In Ontario, a holograph will, that is, a will entirely handwritten and signed by the testator does not require any witnesses to be valid. In accordance with section 6 of the Succession Law Reform Act “a testator may make a valid will wholly by his or her own hand-writing and signature, without formality, and without the presence, attestation or signature of a witness.” In some Canadian jurisdictions the court can “cure” a will that lacks one of these formalities. However, Ontario does not allow for this curative power. In cases where the estate is very large and worth millions of dollars, some drafting solicitors even video record the execution of the will to prove that all formalities were adhered to. If a potential beneficiary has been disinherited by the testator, that person may look for any possible reason however small to attempt to render the will invalid. A costly estate battle due to improper execution is possible even if the rest of the will is free from improprieties. If you suspect that a will was not properly executed and you want to challenge probate, contact Charles Ticker for assistance. 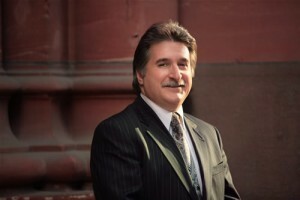 He has over 35 years of experience in litigation and restricts his practice to estate litigation, estate mediation, and estate law disputes. As a Toronto estate lawyer, Charles has vast experience with a vast array of complex estate litigation issues. Contesting a will is a complex process and should be done with the advice from an estate litigation lawyer, especially if improper execution is an issue. The information on this website is not legal advice. It is for informative purposes only. Contacting us through the website, email, or telephone does not mean you have retained a lawyer. To book a consultation, call estate lawyer Charles Ticker at: 1-866-677-7746.